Chelsea have opened talks with Bolton and England centre-half Gary Cahill – after agreeing a £7m fee and being given permission to speak about terms. Manager Andre Villas-Boas hopes to have Cahill available for a quick debut – once the window opens – and took a significant stride towards that last night. 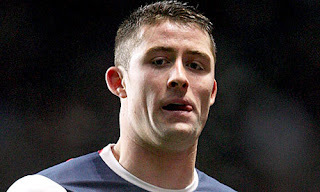 Bolton have allowed Cahill’s agent John Seasman to begin discussions on wages with Chelsea supremo Ron Gourlay and tie up the deal, pending a medical after the weekend. Cahill – a free agent in the summer – is expected to say “yes” to the Stamford Bridge switch, although there are still details to be sorted out about the size and length of contract.